Most dads could use a little harmony and order in their lives — especially those who can’t find two socks that match, are the last to pick up their kids from daycare, or never remember important dates – like anniversaries. Sound familiar? With Father’s day right around the corner, consider gifting an app or two to dad to help him stay on track. Productivity apps help him record and prioritize all the things he needs to do so he can spend more time doing what’s important — like spending time with you! The good news is, most of these apps are free. We’ve compiled a list of our favorites based on the simple premise of making life easy — and fun. 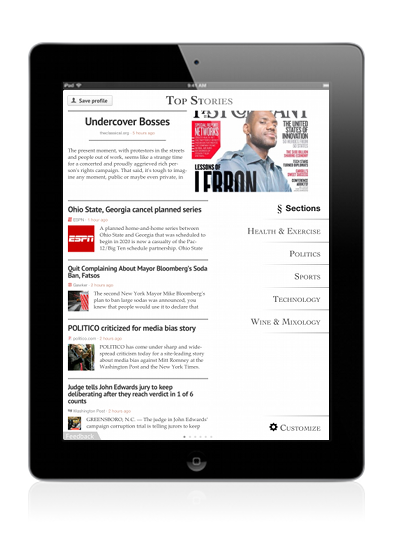 The Ever­note app is for seri­ous note tak­ing. Dads can take notes at work or at home, cre­ate shop­ping lists or “honey-do” lists, search through their favorite images, and share their favorite mem­o­ries. It’s syn­chro­nized across all of dad’s devices — includ­ing Mac, Web, and Win­dows so there’s no excuses for for­getting an impor­tant item again. Dropbox is great app for dads to share their docs, photos, and videos. This free service also lets dads instantly share these items by creating and sending a link to friends, family, or others — whether they are Dropbox users or not. Dads can simply place a folder on their computer, copy any file into that folder — and it becomes available on their other computers and Android, BlackBerry, and iOS apps. 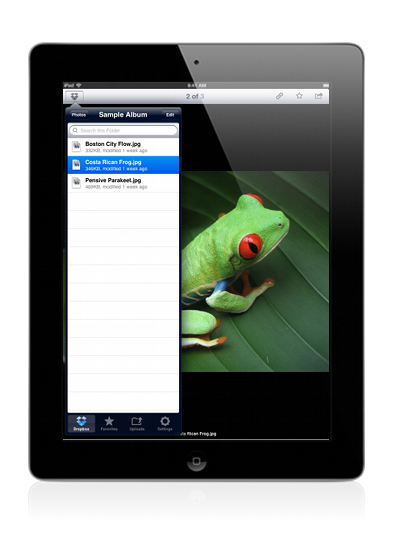 This is a fantastic way to share family photos and videos, and any other docs. Help dad turbocharge his productivity with this handy to-do list app. 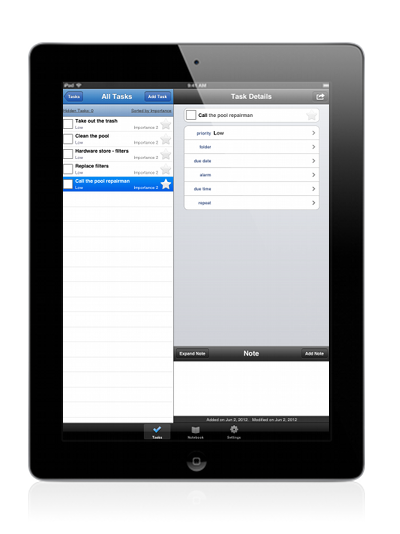 Toodledo is a powerful app that goes anywhere with dad — including his mobile devices, in email, on his calendar, or in his web browser. With Toodledo he can set alarms or reminders for tasks that are due, and it can analyze his tasks to make the most of his time. No more excuses for forgetting to change the oil or for picking up light bulbs. A 10 best pro­duc­tiv­ity blog post from LightAr­row would not be com­plete with­out a men­tion of our own app, Life­Topix. 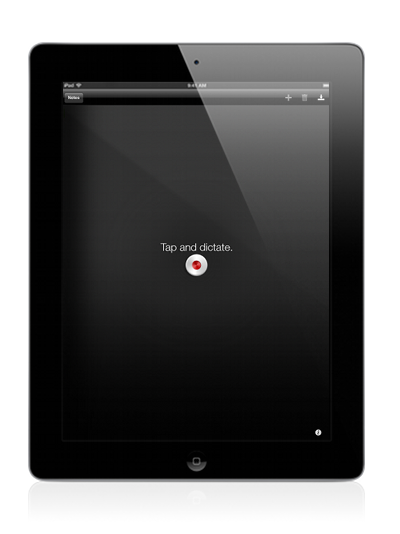 This organizer app takes an organic view of pro­duc­tiv­ity to truly reflect how things get done in life. 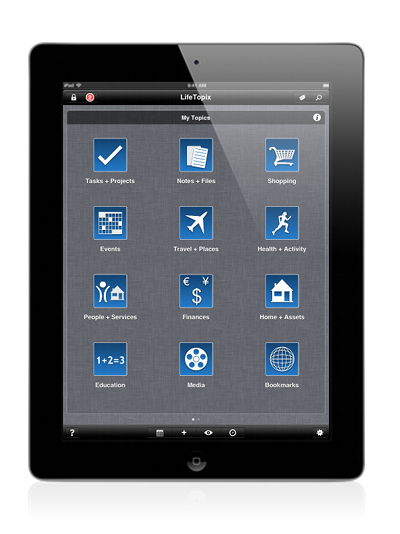 Life­Topix goes beyond notes and to-do lists. With Life­Topix, dads can plan com­plex events like a daughter’s wed­ding, a fam­ily vaca­tion, or a large land­scap­ing project. Inte­gra­tion with Ever­note, Drop­box, and Toodledo makes Life­Topix the hub for projects with tasks, notes, and doc­u­ments. Event and project plan­ning includes many ele­ments, such as ser­vice providers, shop­ping lists, book­marks, travel com­pan­ions, itin­er­aries, and more. A powerful cal­en­dar keeps dads on track and fur­nishes handy reminders. Face it. Nobody likes typing on a keyboard when they can easily dictate text or email messages. Dragon Dictation is a voice recognition app that allows dad to naturally speak and instantly see his text or email messages. If dad is saavy with social media, it’s really useful for quickly creating messages for Facebook and Twitter. With so many stories circulating every day, it takes time to find information that suits our needs and tastes. Help dad save time searching for articles by recommending Zite to him. He can personalize Zite with the topics that he finds useful, such as Health & Exercise, Politics, Sports, Technology, and Wine & Mixology. It understands the things that dad likes, and gets smarter the more he uses uses it. And of course, helping dad get in touch with the latest news and trends, he’ll be a hit at his next cocktail party or family outing. Most everyone using the Internet these days has discovered Yelp. If you haven’t, it’s the grassroots website that includes over six million reviews of businesses across the United States, Canada, Ireland, and the UK. Reviewers, described as “Yelpers” review everything from restaurants to hardware stores. Perhaps dad is visiting the coast in Northern California, and wants to fit in 18 holes. Rather than wasting time making phone calls or emailing friends, Yelp is a great resource to identify the courses nearby, whether they’re open to the public, and to learn about the challenge and pace of the course. OpenTable is especially useful for the spontaneous dad who doesn’t call to make reservations until Friday night or the dad who travels on business. This app quickly searches for restaurants in his area on his device, reviews them, and then chooses the restaurant for him. It’s like having his own concierge. You can’t beat that. As an added bonus, he can earn points to free meals — maybe next time he’ll pick up the check. 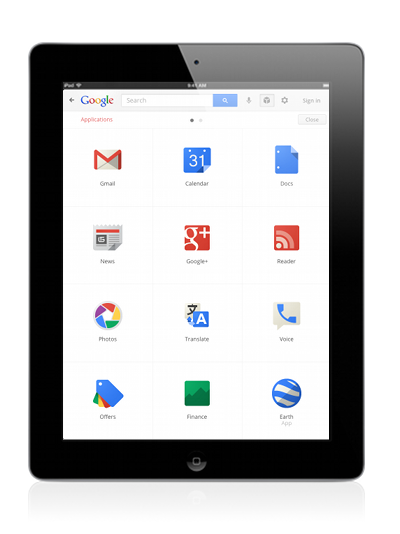 Dad’s iPhone or iPad is just not complete without the Google Search app. He can search the web faster and easier. Two cool features include voice search which lets him skip the typing, and Google Goggles which lets dad snap a photo and find more information about the item. 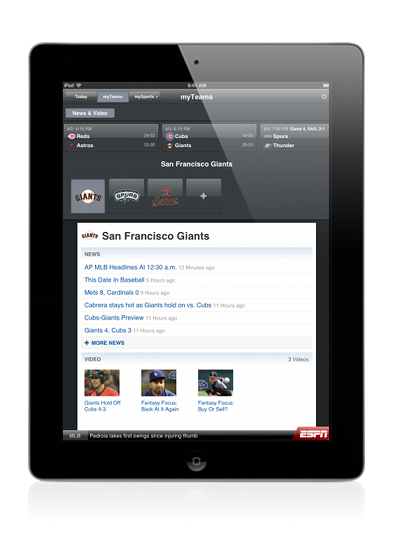 For the dad who loves sports, we recommend the ESPN ScoreCenter app as the hub of sports news. 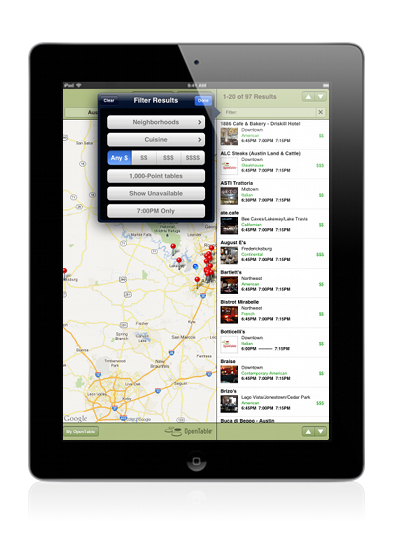 This fun and useful app allows dad to easily find the in-progress and final scores of the teams that he follows. It also gives dad news about the players, breaking sports news, and highlights of the leading sports events of the day. He can also view the current standings by sport and division. We hope you found our list helpful. 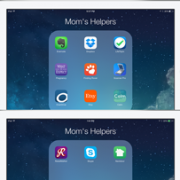 So dads, what’s your favorite time saving or productivity app? How do you stay on track? We’d love to hear about your top 10. Let us know.